A day at a theme park can make for a great family outing, but it often comes with a price tag that's prohibitively expensive, particularly for families on a budget. Fortunately, discount theme park tickets - and other money-saving tips - make it possible for families to enjoy the thrills of a theme park without the mood-killing sticker shock. SeaWorld: ﻿SeaWorld Entertainment operates aquatic theme parks in San Diego, California; Orlando, Florida; and San Antonio, Texas. The parks feature marine animal displays and live orca, dolphin, and sea lion shows, as well as a variety of thrill rides. Tickets can be expensive, but SeaWorld parks offer a number of discounted ticket options to make costs more manageable. Universal Studios: Universal Studios theme parks in Orlando, Florida and Hollywood, California offer movie-themed rides and entertainment for the entire family. However, that fun can come with a hefty price tag. Ticket discounts such as online offers and membership bonuses can help make a visit to Universal Studios more affordable. Legoland: Legoland California, located in Carlsbad and Legoland Florida, located in Winter Haven, are interactive theme parks that cater to families with children ages 2 to 12. The parks boast dozens of rides, as well numerous shows, attractions, and restaurants. Discounted tickets help families make the most of their visit without breaking the bank. Knott's Berry Farm and Camp Snoopy: Located in Buena Park, California, Knott's Berry Farm is a 160-acre theme park that features more than 40 rides and attractions, including thrilling roller coasters and water rides. Camp Snoopy, which houses the park's rides for children and families, makes Knott's Berry Farm particularly popular with families. Budget-conscious park-goers can find a variety of discounts on park admission. Cedar Point: Opened in 1870, Sandusky, Ohio's 364-acre Cedar Point theme park is the second-oldest operating amusement park in the United States. Cedar Point boasts exhilarating thrill rides, high-speed roller coasters, and water rides for the whole family. Visitors can use a number of discount options to shave a few dollars off the cost of admission tickets. Hersheypark: Hersheypark in Hershey, Pennsylvania is a chocolate-lover's dream. The 121-acre theme park features more than 65 rides and attractions, including 12 exciting roller coasters. Finding discounts on park admission makes visits to Hersheypark even sweeter. Kings Island: Located in Mason, Ohio, Kings Island is a 364-acre amusement park described as "the largest amusement & waterpark in the Midwest." The park offers something for everyone in the family - from thrill rides to family rides - and park-goers can often take advantage of deep discounts. Schlitterbahn: Schlitterbahn is a family-owned group of water parks with four locations in the United States - Galveston, New Braunfels, and South Padre Island in Texas and Kansas City, Kansas. The parks have thrilling water slides and fun splash areas for little ones. Schlitterbahn parks offer deep discounts on advance sale tickets. Advance purchase tickets: Many theme parks offer substantial discounts to park-goers who purchase their tickets online and in advance of their visit. Plan to purchase tickets at least two weeks in advance to score the deepest discounts. 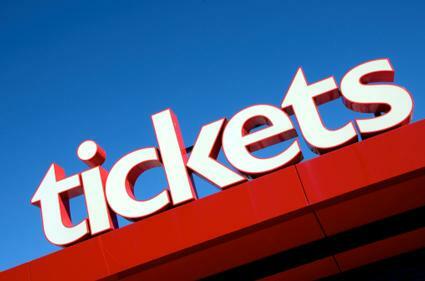 Buying tickets online in advance also means visitors can skip the line at the gate and save valuable time at the park. Multi-day passes: Multi-day passes allow park-goers to enjoy a theme park for two, three, or four days for just a few dollars more than the cost of a single-day pass. The best discounts on multi-day passes are typically available when purchased online, in advance. Annual passes: Annual passes are another great way to save on theme park admission. Typically available to residents of the state in which the theme park is located, annual passes allow park-goers to visit the park all year long for the cost of just a couple of single-day visits. Like multi-day passes, the best prices on annual passes are available online. Membership discounts: Memberships to warehouse clubs such as Costco and Sam's Club, and car care clubs like AAA often offer deep discounts at theme parks as an added benefit. For example, Costco members can save up to 50 percent on the cost of general admission tickets to theme parks like Legoland Florida when they purchase their tickets online. Employee discounts: Before purchasing theme park tickets, park-goers can save a considerable amount of money by checking to see if the company they work for participates in employee discount programs that offer savings on travel and entertainment. Employee discount programs such as Working Advantage and TicketsatWork.com offer substantial savings on tickets to theme parks and other attractions across the United States. Promotional discounts: Many theme parks print promotional coupons on consumable items, such as soda cans and candy bars, that offer park-goers discounts on admission when they present the can or wrapper at the ticket counter. Similar coupons can often be found in newspapers or other local circulars. Keep an eye out for these money-saving opportunities when planning a theme park visit. Online coupon sites: There are quite a few online coupon sites that offer coupons and discount codes for popular theme parks. Groupon and MouseSavers are two sites that many swear by. Park-goers also may find it helpful to consult resources like RetailMeNot and Union Plus, which offers discounted theme park tickets for union members. A day or two at a theme park doesn't have to be out of reach for cost-conscious theme park enthusiasts. By taking advantage of the numerous available discounts, it's possible to have a great theme park adventure on a budget.